I remember a day when I looked forward to receiving an email. It made me feel important that someone thought enough about me to send me an electronic message. Today, you, your prospective members, and I are receiving a deluge of email. We’d all prefer to receive fewer emails, not more of them. This can present a challenge when the core products you are selling are a series of email newsletters. One of the largest newsletter publishers in the world could be a company you’ve never heard of — The Agora. This is a $1.4 billion company headquartered in Baltimore, Maryland, that has divisions around the world publishing financial investing advice, health information, and variety of other topics. I’ve had the honor of working with two Agora divisions in Baltimore, Agora Financial and Money Map Press together with three of Agora’s international divisions in India, Argentina, and Brazil. There’s no one better in the world in creating compelling marketing and sales letters than The Agora divisions. Their marketing is so precise that you’ve likely never heard of them unless you are within their target market. They use enticing online advertising, long-form sales letters, and videos to promote their information products priced anywhere between $100 and $2,500. And when you buy, you essentially receive a series of emails delivering promised content to you over the course of a year. One Agora division has two video sales letters that generated more than $25 million in sales. Can you image? A video on a web page that sells $25 million! This one video would be in the top one percent of all businesses by revenue in the United States. And this is just one of many. Each division has a team of copywriters cranking out new video sales letter scripts, order forms, and sales letters. They have the smartest marketing people in the world generating traffic. It’s a sight to behold. About 30–45 days after your customer buys your product, their credit card statement shows up. Or, if they’re less than 40, they go online to see their purchases and pay their bill. How many times have you been surprised by your credit card balance? What’s the first thing you do? You look for charges that aren’t yours. Next, you look for things you can cancel or return to lower your balance. And, if your spouse is involved, the two of you team up to work together to lower the balance due. You can’t take it for granted that because your member was excited enough to buy on March 1 that they’re going to be just as excited on April 15 when it’s time to pay the credit card bill. That is unless you’ve been keeping your member excited throughout the first several weeks of their relationship with you. Getting your member to input their credit card in your order form is easy compared to the task of getting them to write a check and pay off their card balance 30–45 days later. I’ve had the opportunity to work with several Agora divisions to create new member onboarding campaigns. What your member sees after they join is the single most important page. Is your page full of administrative details? Or is it written to help make your new member even more excited about what they’re going to experience as your member? Your thank you email for new members has the highest open rate of any email you send to anyone, ever. Let’s make sure it’s as good as it possibly can be. Ensure this resells your newest members on what the future is going to feel like as your member. A few years ago, we sold using written words and delivered products made up of written words. Today, a lot of sales are made through engaging video sales letters (VSL), and when the product is delivered, it’s an email with a PDF download. Or there might be a membership site login with PDF downloads. The energy of a PDF download is much less exciting than an emotional VSL. Consider creating a video to deliver content that’s as exciting and engaging as your sales materials. My favorite approach is to deliver a new member welcome package that resells your new member on the value of what your program delivers. This way, if their spouse has any questions, they can show them your package, and it will sell them the way it sold your member on joining the program. This package can include brochures, posters, a welcome letter, and perhaps even a book to deliver the full impact. 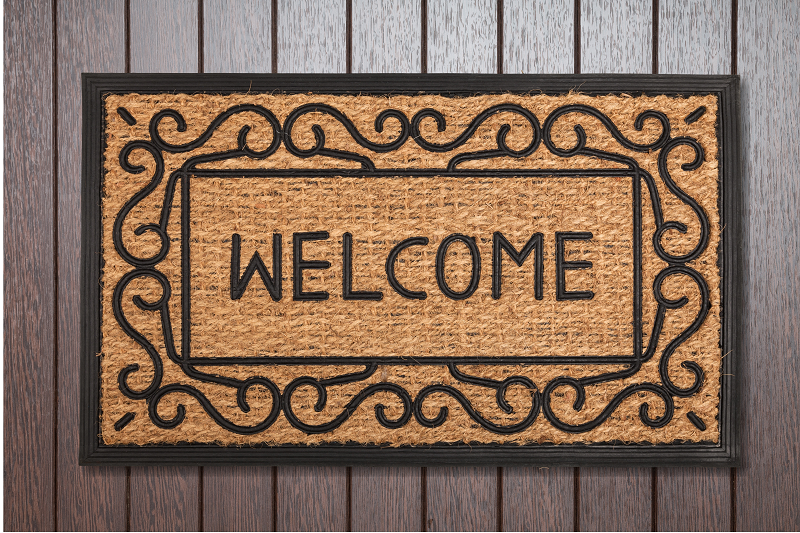 How you welcome your new members determines whether or not you’ll succeed through the Credit Card Moment of Truth. A great way to start is to make what you deliver as exciting as your sales materials. How does the product you deliver stack up?